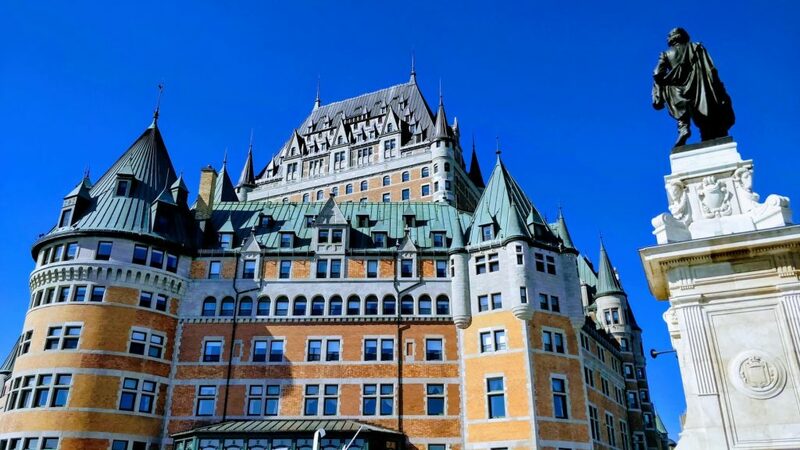 Quebec City, PQ – Wandering, History, & Les Gourmandes Louca – vegan in your city. While we were in Quebec City, we stayed at a lovely airbnb and enjoyed the sights and sounds of old Quebec. 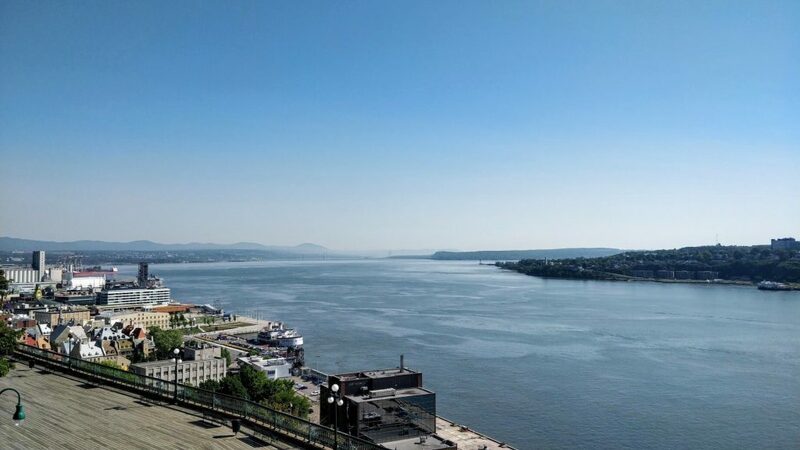 There are some incredible urban climbs in Quebec City, but thankfully you are rewarded by the accompanying grand views of the city and the St. Lawerence river. We got a lot of exploring done – even during our relatively short visit. On our first day there, we visited the Governors Promenade, which also has a 300 step staircase where you can see a beautiful view of the river, and of Levis, the city across the St. Lawerence. We wandered through Vieux- Quebec, and it’s so easy to enjoy the old and winding streets, full of history and incredible architecture. Just walking around without a specific destination in mind is a pleasure, because you will inevitably stumble upon something that sparks your interest. 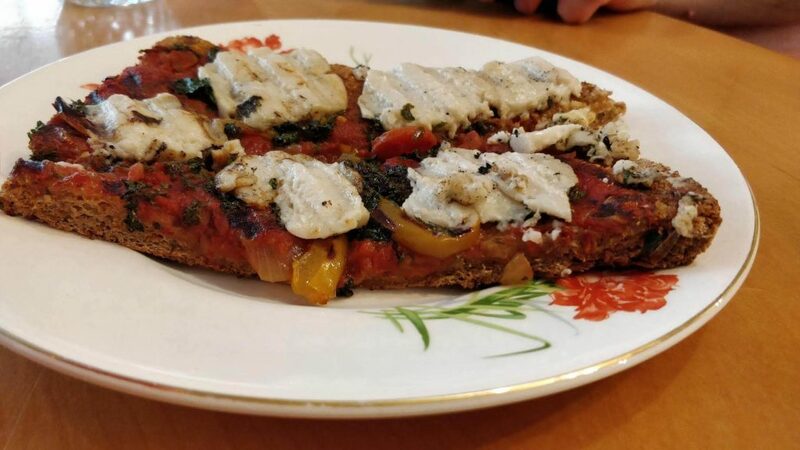 When it was time to grab a meal somewhere, we decided to check out Les Gourmandises LOUCA, a zero waste, vegan restaurant and grocery. They have reusable containers you can take for your to-go items, a variety of bulk foods, and wrapping free items, cloth napkins instead of paper towels, and a chalkboard menu. I climbed a surprisingly steep hill and a few flights of stairs to get up to Rue St. Jean, a lively street with cobblestones and lovely little shops. Directly across from Louca there is the Parc Saint-Matthews, which contains an old graveyard and a library, and a lot of the old wonderful and historical architecture Quebec city is full of. I waited for JC and our son to join me and sat on this bench outside the restaurant taking in the hustle and bustle of the street – it’s definitely worth exploring a bit more, but I don’t feel comfortable speaking French much, and also don’t want to be rude by not speaking at all, so I sat this one out. Once everyone arrived, we ordered a bunch of different things and I liked them all in different ways, there was a nice variety of options – we had the soup du jour – vegetable. The pizza with some cashew cheese, and the dumplings. Our son got a hummus sandwich and absolutely loved every bite. The bread was incredible, and this time, camera did not eat first. 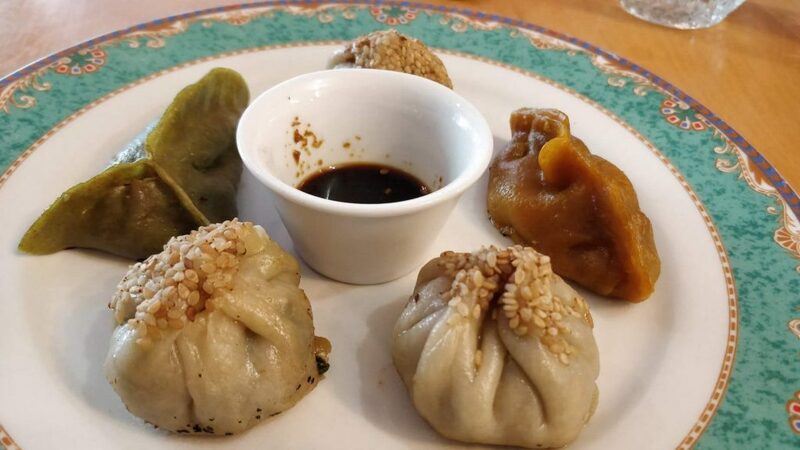 I think the dumplings were my favourite. The different colours had different, but similar fillings of tofu and spinach and spices. The service was friendly and welcoming and we all had a great time there – they were bilingual though JC speaks/spoke French, they offered because we were speaking English amongst ourselves. I thought it was also really nice that they had some toys and play dough for kids, as well as a high chair and booster seat. 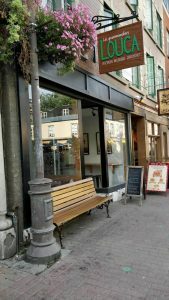 If you are in Quebec City because you live there, or are just visiting, I’d recommend checking this place out! We didn’t spend a lot of time in Quebec City, but we didn’t have to to know that it was somewhere special. I suspect we will be back again soon, and not just because our road trip routes through there again on the way home. 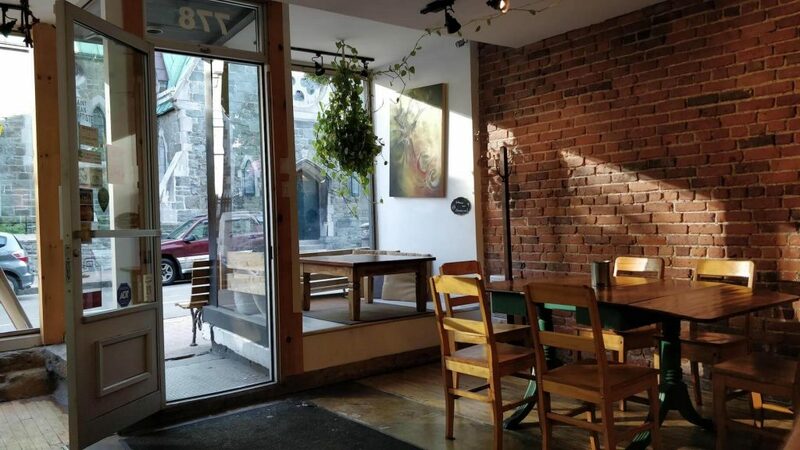 If you’re looking for other vegan options in Quebec City, Justin Plus Lauren did a great overview of what else is available, and it appears updated – with the exception of Louca. Chez Victor will probably be a stop we check out next time, as there are locations around QC, and some of them even deliver!